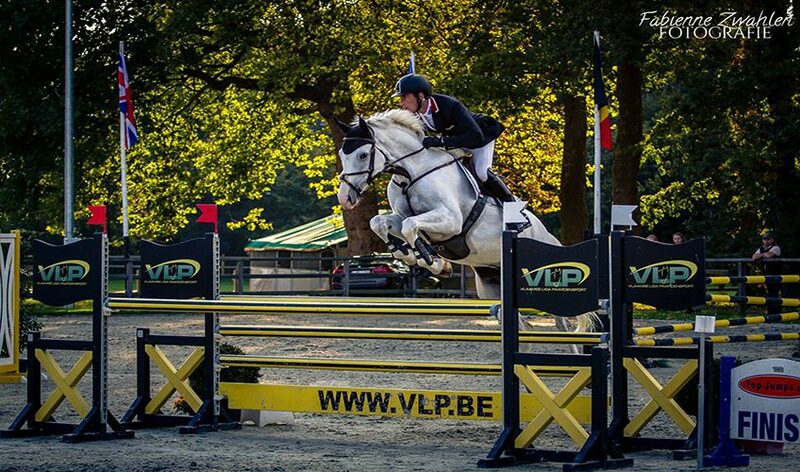 A CIC*, CIC** and CIC*** kept the team busy during last weekends Waregem International Horse Trials. In the CIC*, Clever Louis and Cancun came 3rd and 4th with both horses storming clear across country. Whilst Cancun started on a dressage score of 41.2 but had to add one pole in the jumping, lever Louis produced another lovely double clear with nothing to add to his dressage score of 45.8. Him and Ben are now focusing on the World Championships for Young Horses in Lion. In the CIC**, Catelan was in really good form again. A 38 dressage and clear jumping saw him in the lead before the final cross country, where Dirk decided to give him a steady run, which still resulted in a lovely 3rd place in a very competitive class counting 84 combinations. Ben and Prince premiered successfully in their first CIC***. A 56 dressage, clear jumping and controlled run across country resulted in a good 24th place and a great boost of confidence for the competitions to come. A rosette for the team in this class went to Yoshi and Calle, who drove off with a lovely 5th place. Many thanks to Fabienne Zwahlen for the scopey jumping picture of Cancun.